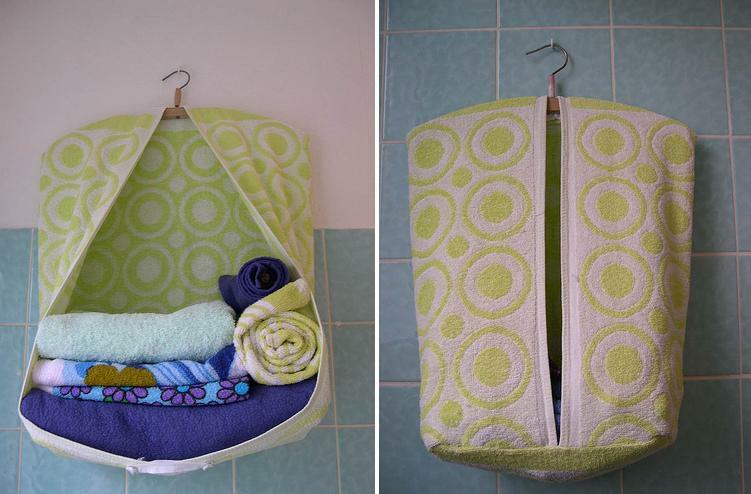 Give your old towels a second life by transforming them into something useful and cool. 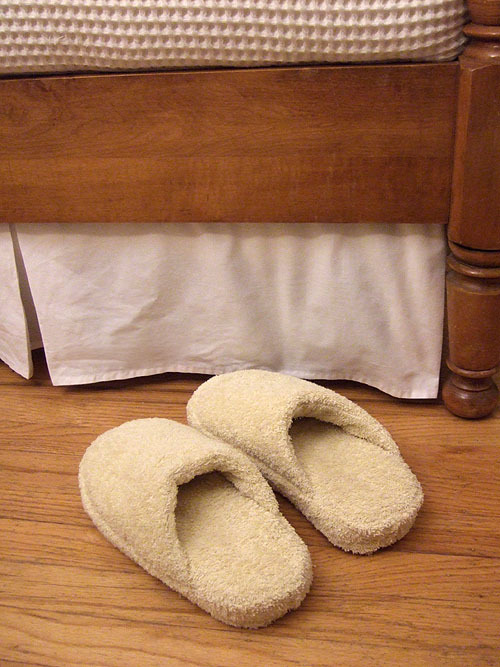 Spa Slippers: These cool spa slippers are made from a pair of old slippers, an old towel, polyester batting and a bit of leather. Tutorials - 1| 2| 3. 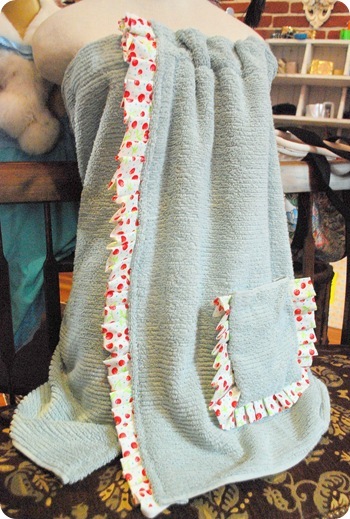 Bath Towel Head Wrap: Make a head wrap with a towel, an elastic loop and a button. Tutorials - 1| 2| 3. 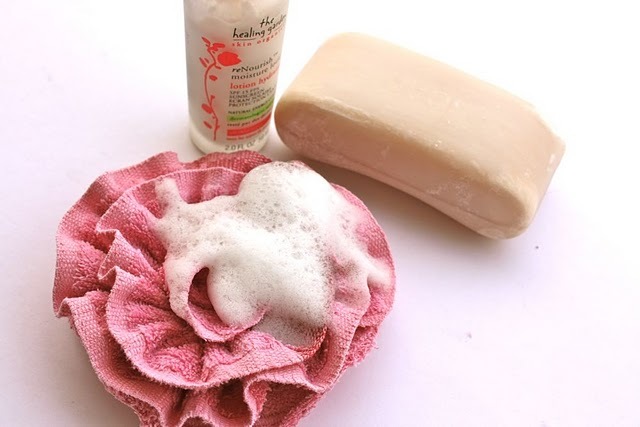 Bath Pouf: Create a bath pouf using old towel and simple sewing. Tutorials - 1. 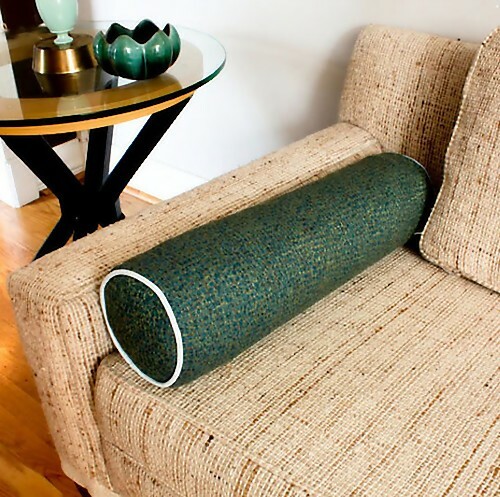 Bolster Pillow: Make a comfy pillow using rolled up old beach towels. Get instructions - 1. 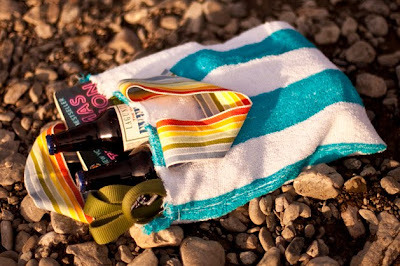 Beach Bag: A cool use for an old towel. Tutorials - 1| 2| 3. 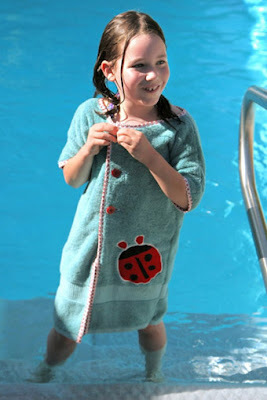 Child's Robe: Create a cute child robe with one bath towel, buttons, double-fold bias tape and some fabric. 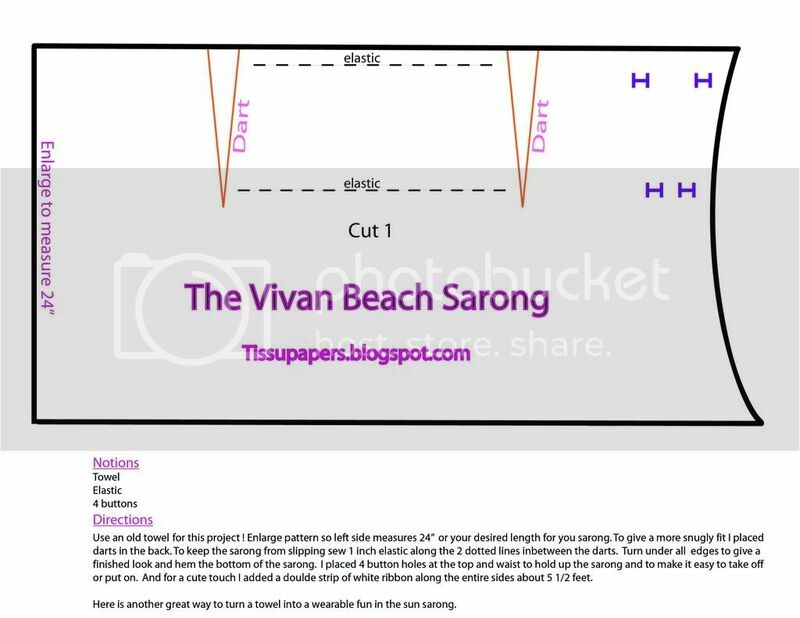 Tutorials - 1. 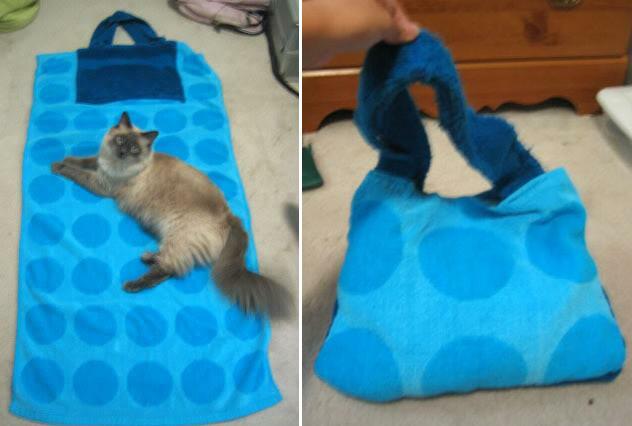 Towel Bag: It's a beach bag and also a towel that folds up into itself and has handles that turn it into a bag. Tutorials - 1. Swiffer Cover: You can make a swiffer cover using old towels and large buttons or velcro. 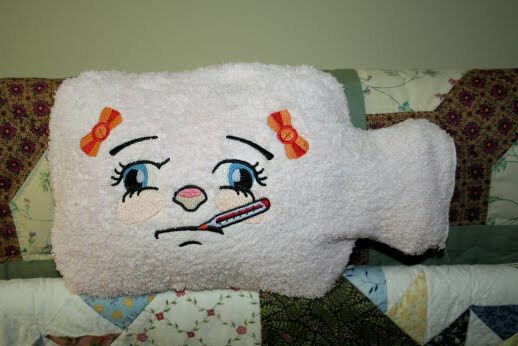 Get directions - 1. Towel Mat: All you need is two old towels and blanket binding or some fabric. Tutorials - 1. Beach Cover-Up: A beach sarong that you can put on to keep you dry at the beach. All you need is an old towel, four buttons, and 1 inch elastic to add support. Get instructions -1. 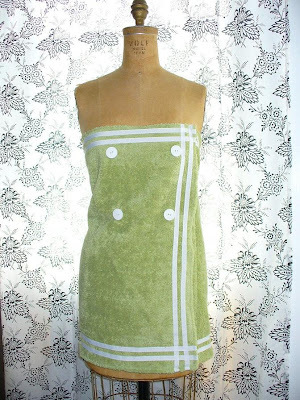 Spa Towel Wrap: Turn a towel and some fabric into a stylish spa wrap. 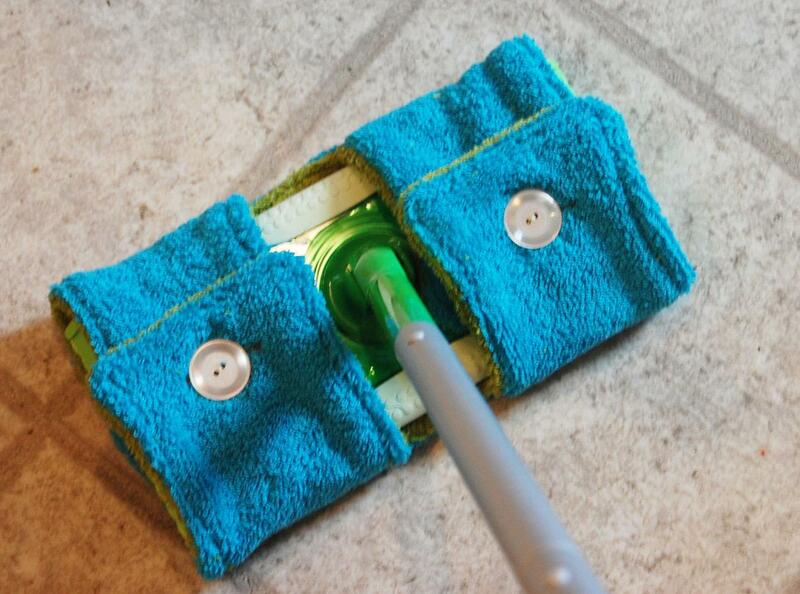 Instructions - 1. Poolside Robe: Made with an old towel, 2 yards of elastic, velcro and coordinating color towel for straps (optional). Tutorials - 1. 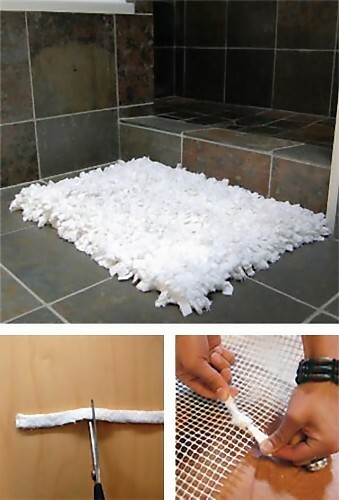 Bath Mat: Make a cool bath mat by knotting long pieces of towels to a grid mat. Get instructions - 1| 2. 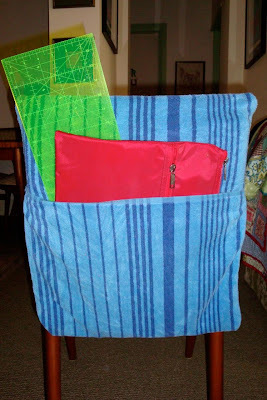 Beach Towel Poncho: Make a cool poncho with two beach towels and a ribbon. Bath Mat: An old towel is used to cover a woven fabric topped bath mat. Get instructions -1. 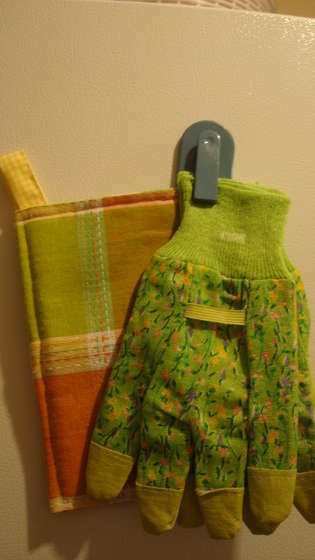 Child's Hot Water Bottle Cover: Make an adorable cozy using an old towel. Get instructions - 1. Chair Bags: It's easy to make and are cool to use. Get instructions - 1. Towel Dress: This one looks good. Get instructions - 1| 2. Towel Lollipops: A cool project that can come in handy for baby shower. Tutorials - 1. 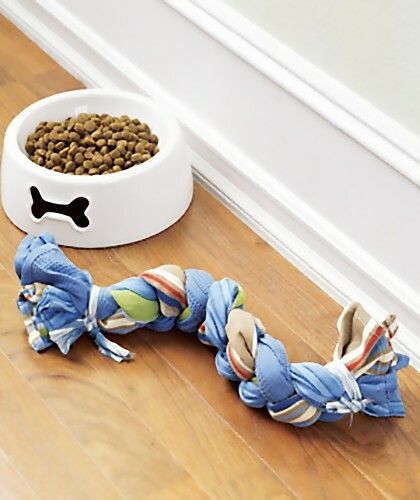 Dog Toy: You need three old towels to create this one. Get instructions - 1. 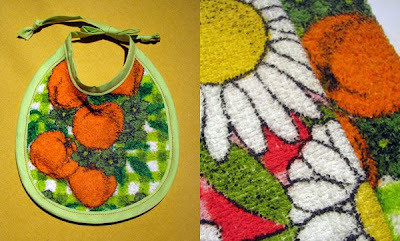 Towel Bib: Make a cool baby bib using old towel. Get instructions - 1. 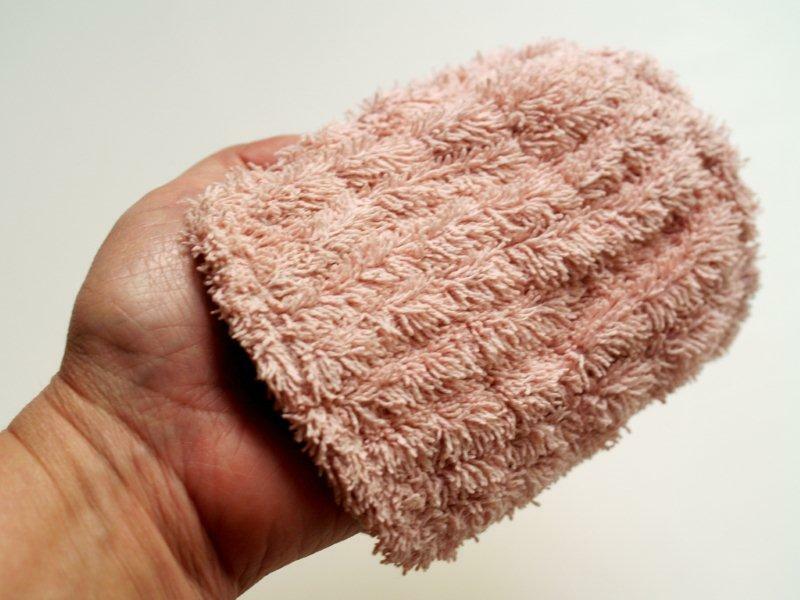 Spa Scrubbie: It's easy to make; get instructions - 1. 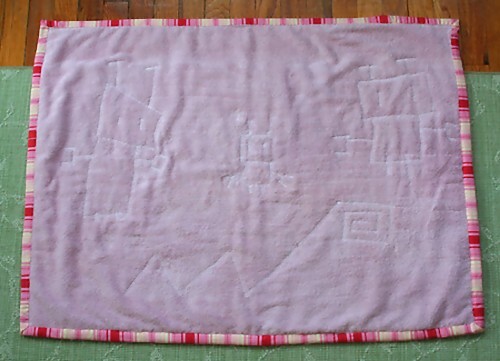 Picnic Blanket: Use old towels to make a cool picnic blanket. 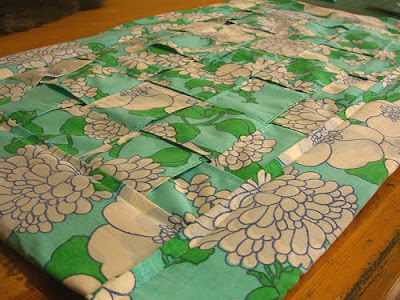 More ideas: 1| 2| 3| 4| 5| 6| 7| 8.